Does the brand-new Miele Dialog oven represent the future of creative cooking? Whether you’re a budding chef or just keen to get dinner on the table with a minimum of fuss, there was something for everyone at this week’s IFA trade show in Berlin. From a ground-breaking Miele oven and an innovative Gorenje induction hob, to recipe guidance from the likes of Bosch and Panasonic, we’ve rounded up our top five cooking trends of 2017. Perhaps the biggest cooking innovation unveiled at this week’s IFA trade show in Berlin was Miele’s Dialog oven (pictured above). Miele claims it’s the biggest cooking innovation in decades and will change the way we cook at home. It uses electromagnetic waves, in combination with radiant heat and a convection fan, to cook each piece of food in the oven to perfection. Antennae measure the amount of energy each item has absorbed, and the oven then applies or removes heat as needed. Miele demonstrated its capabilities by sealing a piece of salmon within a block of ice and placing it in the Dialog oven for a little over 10 minutes. When they took it out, the ice was still frozen but the salmon inside was cooked through. ‘What’s the point of that?’, you may well ask. Well, there isn’t one, really. But it does demonstrate what the Dialog can achieve. In the same way that an induction hob heats the pan, rather than the hob surface, the Dialog heats the individual pieces of food rather than the oven. What this means is that if you put a chicken and a tray of roast potatoes in the oven at the same time, the oven will only heat the potatoes until they’re perfectly crispy before removing their heat. It will then continue to cook the chicken until it’s just right. 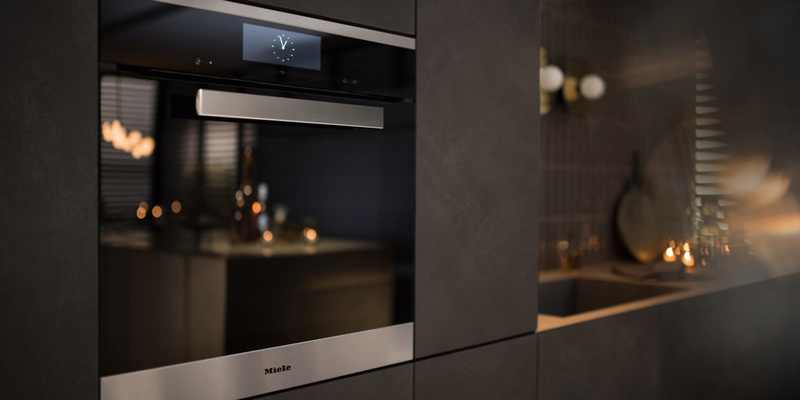 This method of heating is far more efficient than a conventional oven, so Miele claims the Dialog is up to 70% faster than a conventional oven. It won’t launch in the UK until 2019, though, and will cost around £8,000. In the meantime, you might want to consider one of our Best Buy ovens. Induction hobs are nothing new. In fact, they were everywhere we looked at IFA this week. But Gorenje’s IQ induction hob caught our eye. For starters, there are 17 heat levels to choose from. That sounds excessive, but if you’re attempting a technical recipe, the last thing you want is for your hob to be running fractionally too hot or cold. That’s not all. 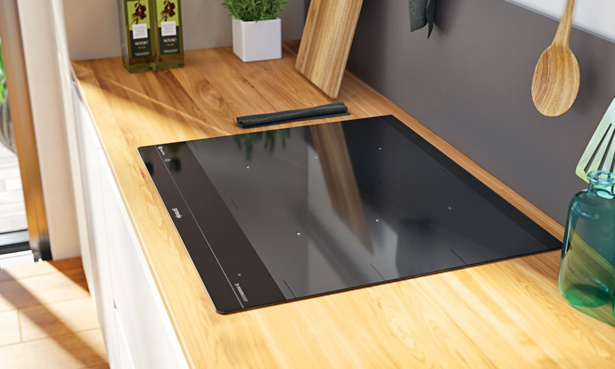 The IQ hob also has flexible cooking zones – a feature that means if you move a pan across the hob, it will remember the level of heat you were using and transfer it to the new cooking area you’re using. Look out for the IQ hob in the coming months, or head to our hob reviews to buy a new hob today. If stress-free cooking is what you’re after, a digital kitchen assistant could be just the thing. 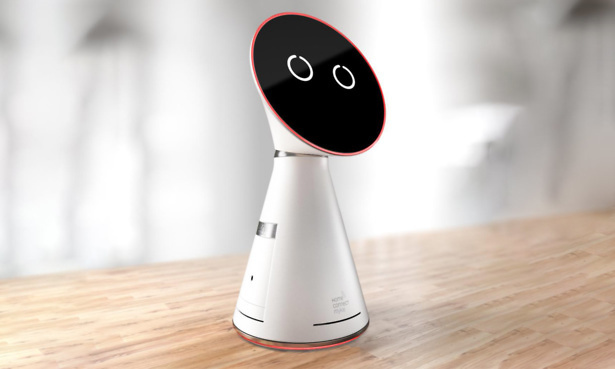 Bosch’s Mykie (pictured above) is a 30cm-tall, voice-controlled, counter-top robot that will read you the stages of recipes as and when you ask for them. If you often get your hands dirty in the kitchen, this should help to save the screen on your tablet or mobile from sticky smudges. Panasonic’s new kitchen assistant, meanwhile, takes it to another level – even though it’s still only a concept. It links with both a smart induction hob and a camera placed in the extractor fan. When you’re following a recipe, the cameras will monitor your food and tell you if you need to raise or lower the heat. Extractor fans are an essential part of your everyday cooking, but they tend to be bulky, noisy and sometimes even ugly. If you need a new fan, or are wondering about the layout for a new fitted kitchen, you should consider an integrated extractor fan. These are built into the counter alongside your induction hob to extract steam. This makes installing a hob on an island in your kitchen much more practical. AEG, Bosch and Miele, among others, exhibited integrated extractor fans at IFA 2017. If you’re in the market for a new one, consult our guide on how to buy the best cooker hood. If you’re tired of traipsing through the supermarket wondering what to cook for dinner, you’ll be pleased to know that your days of resorting to spag bol (again) may be numbered. 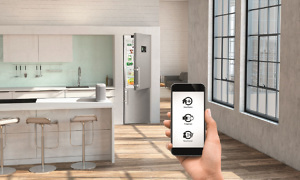 While there were several fridges with cameras inside at IFA, Liebherr’s MIA system was the only one we saw that’s capable of recognising the food you have inside your fridge. This recognition is crucial, because it means the fridge is able to recommend recipes based on the food you already have. If you’re in the supermarket, the app can tell you what you need to buy so you can cook certain recipes. Liebherr’s MIA system is a smart fridge camera and voice-controlled smart hub that can be used in any Liebherr fridge freezer. We don’t yet know how much it will cost, but the system will launch in the UK in early 2018. In preparation for MIA’s arrival, take a look at our Liebherr fridge freezer reviews.